It’s time tea! But this no ordinary teatime! Oh no! 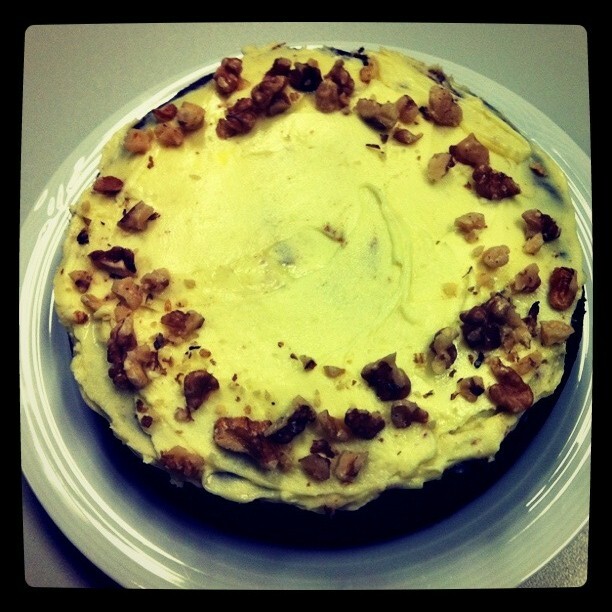 It’s the Biggest Morning Tea and not only that, but at my workplace, it’s morning tea in the afternoon! Rules were made to be broken! I put the icing on my Banana and Carrot Cake, sprinkle some icing sugar over those Anzac Blondies and then it’s time for everyone to tuck in! It’s a veritable tea time feast! 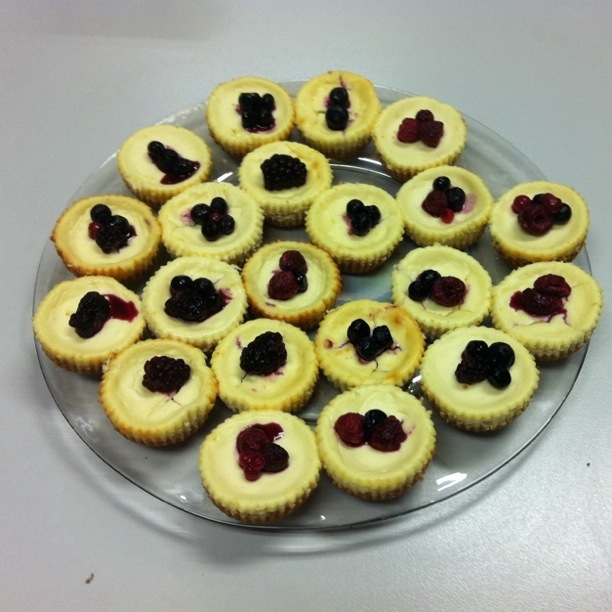 Paula made these incredible Mini Raspberry Cheesecakes which were devoured in nano seconds! There is nothing this lady doesn’t know about High Tea, check out her top tips and recipes here. 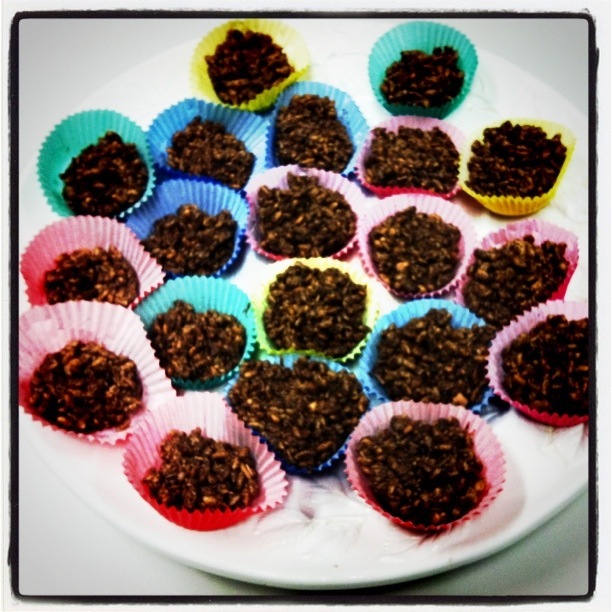 Eve, our resident kitchen novice comes good with some cracking Chocolate Crackles and Katie wows us all with her mind blowingly awesome Chocolate Apricots. They are seriously addictive and I am ashamed to admit that I lose count of how many I have! I read somewhere that it’s good to have dark chocolate before a race, but I don’t think it’s good to have this much! Is there such a thing is too much chocolate? 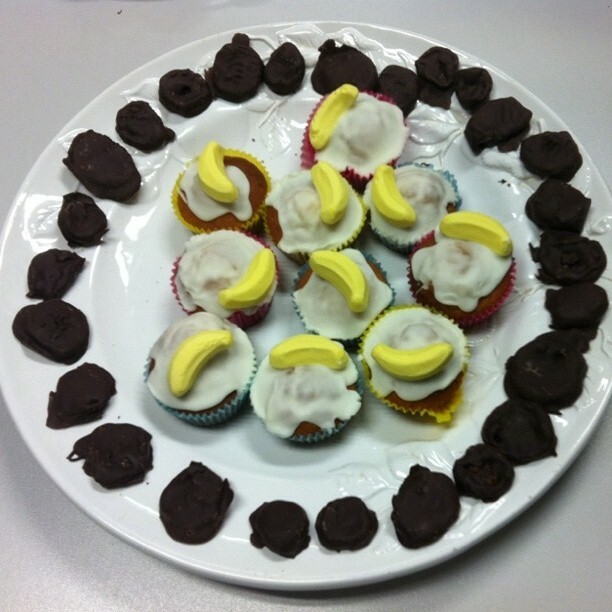 I add my Banana and Carrot Cake, Anzac Blondies, Top Banana Fairy Cakes and a little bit of Hedgehog Slice into the mix, Ta-dah! Kevin declares the Banana and Carrot Cake the best he’s tasted and no one seems too bothered that the Anzac Blondies are almost brunette. 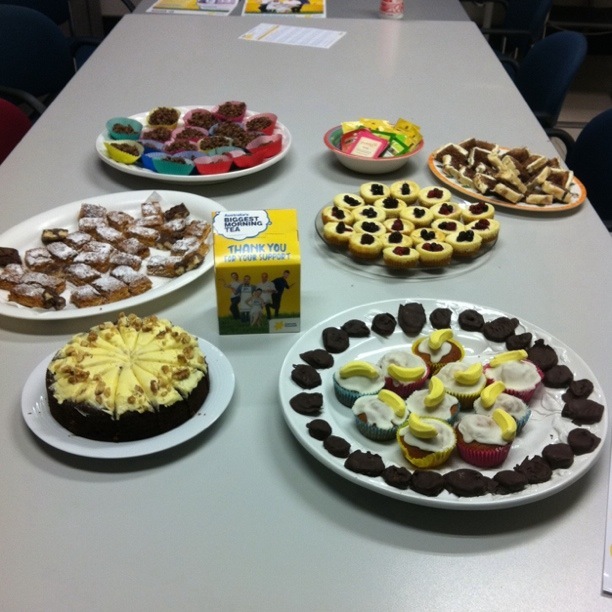 We collect the cash and raise funds for the Cancer Council and have a tea-riffic time! This is what you call having your cake and eating it! Fundraising is fun!